ZMA® was the first product developed specifically to enhance recovery by improving sleep efficiency. ZMA® promotes a deep and restful sleep and restores exercise tolerance which is decreased by sleep deprivation. A University research study also found ZMA® to significantly increase anabolic hormone production in trained athletes. 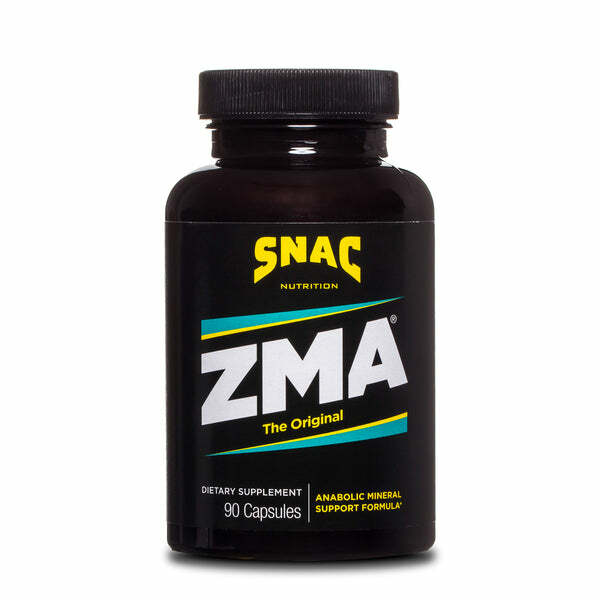 ZMA® is an advanced formulation designed to significantly improve muscle strength and endurance as well as accelerate healing and tissue repair. Scientific research has demonstrated that rigorous exercise and stress result in significant body losses of zinc and magnesium. These mineral deficiencies are common in the general population and even more prevalent in athletes. As more fitness enthusiasts begin to truly understand how to maximize recovery and muscle growth, they'll join those already spreading the ZMA® gospel "You Grow As You Sleep!" Just started taking the product and I have already seen the difference!! Not only has it worked better than any other product I have tried but it’s highly affordable!! I have always struggled with getting enough sleep. Since taking ZMA, I can sleep for 4 hours and I swear I still feel well rested. Truly amazing! I am someone who has a major issue sleeping and nothing has been able to help. ZMA has helped me tremendously! I've been able to sleep through the night, leaving me feeling restored mentally and physically.